Each time I step out into the wild, I am humbled and amazed by the beauty that surrounds us. Whether it's on a hike to a 600 year-old sugar pine along the western slope of the Cascades or an exciting whitewater adventure down the Wild Rogue River, I feel so fortunate to live among a landscape of big trees and wild rivers. I also feel fortunate to be surrounded by loving and caring community members like you. This has been a difficult year for so many friends and neighbors throughout southern Oregon and northern California. The towns of Hornbrook, Redding, and Paradise are still reeling from tragic fires that swept through their communities, resulting in the loss of life and property. Other communities suffered record-breaking hazardous air quality during a prolonged fire season. We need your help to navigate this road ahead. In the coming year, KS Wild is deepening its focus on climate adaptation and role of fire in forest conservation. This effort will have a significant impact well beyond the Klamath-Siskiyou, as efforts are already underway to transform the management of public lands on millions of acres of National Forests from California to Washington. Those in power - including President Trump - are spreading harmful rhetoric about conservation groups and playing on fears to increase clearcut logging. Drive down Interstate 5 in any direction from the Rogue Valley, and you will see clearcuts dotting the mountainsides. Despite evidence that shows industrial logging is actually making fires more extreme, Trump and his allies continue to advocate for cutting down our forests. All of us who care about clean water, ancient forests, and the critters who co-exist with us must stand together to protect the places we love. 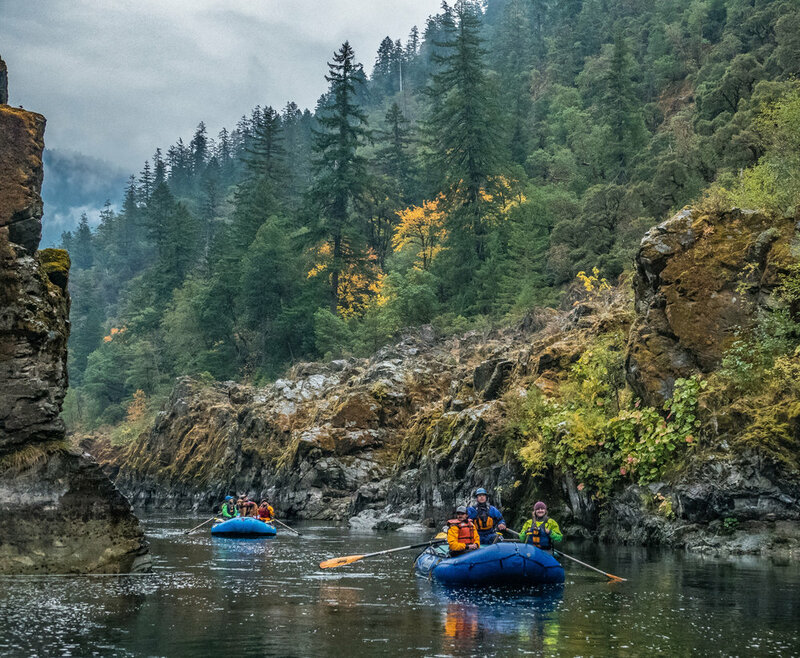 Thanks in large part to our growing network of grassroots supporters like you, both the Cascade-Siskiyou National Monument and the North Fork Smith River canyon remain protected from old-growth logging and toxic mining. However, attempts to roll back safeguards for wildlands and wildlife will increase under the Trump Administration. We need you to keep speaking up, because so much is at stake. Climate change is an unprecedented threat to ecosystems and human communities around the globe. How we respond will make a difference in the world. We must reduce carbon emissions and protect the world's vast carbon sinks, including the ancient forests of the Klamath-Siskiyou. The future of life on Earth - and this little corner of it - depends on us taking action.